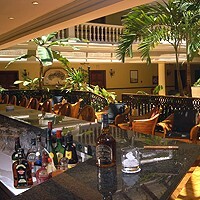 The Hotel Parque Central is a luxury 5-star hotel located in the very heart of Old Colonial Havana. It is surrounded by numerous famous buildings, such as the Capitolio, The Garcia Lorca Theatre, Art Deco Bacardi Building & the Museum of Modern Arts. Inside, the Parque Central Hotel is very welcoming, professional & comfortable, & combines the elegance of colonial style with modern services. 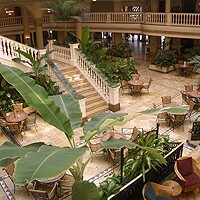 Because of its location & high standards Parque Central is THE most popular hotel in Cuba. The two rooftop pools have fabulous views of the city, which is a blessing during the hotter months, for both clients & swifts. The latter swoop down to drink the water as you swim. There’s also a small but excellent gym. The new (2010) adjacent high-tech Torre (tower) building has 149 rooms & suites, all beautifully decorated & have fantastic views of Baroque & Rococo architecture that surround the hotel. Both the original and new buildings are connected by an underground tunnel where you can find a gallery that provides access to the lobby. 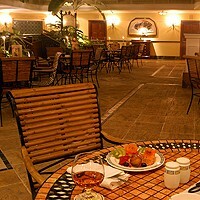 Guests staying in either building can use the facilities of the other. 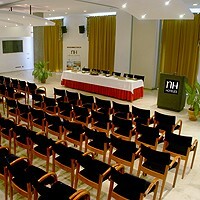 For bookings for the modern section, please see Hotel Parque Central Torre. Since 1st November 2016, free WiFi is available in the rooms of the Colonial section of Hotel Iberostar Parque Central. 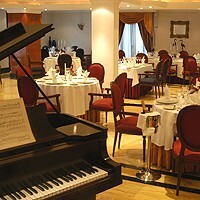 The Hotel Iberostar Parque Central was until recently called Hotel NH Parque Central. 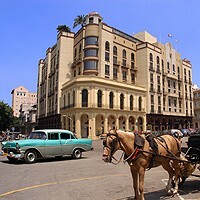 Very spacious rooms with soft wall-to-wall carpeting, comfortable upholstered chairs, double-glazing which provides a blessed respite from Havana’s high decibel levels, classic-style wooden furniture and well-designed lighting. The rooms don’t feel particularly Cuban – you could be anywhere from Seattle to Singapore – but they are very comfortable, as are the generously-sized bathrooms decorated in white, beige and green. Free WiFi is available for guests. 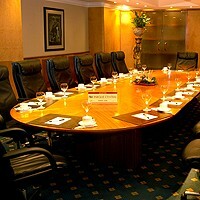 The Parque Central suites do not differ greatly in atmosphere or facilities from the junior suites. Each part of the suite - bathroom, seating/meeting area and bed area - is slightly bigger and in the bathroom the loo and shower are located in separate cubicles. The seating area is generous but has the same partitioning system as in the junior suites, so a meeting conducted here would still very much feel as though it were taking place in a bedroom. 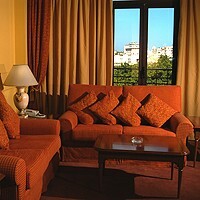 The suites have two large French windows with very good views. Free WiFi is available for guests. Junior Suites at the Parque Central follow the same stylistic lines as the standard rooms and superior rooms, but have a large seating/desk area and two French windows with excellent views of the Paseo del Prado or Parque Central. The bedroom area is supposedly screened from the seating area by means of a curious wrought iron confection placed at right angles to the wall, but it doesn’t function particularly well as a divider, so these rooms are not ideal for business meetings. The bathrooms are large with double handbasin units in marble surrounds. Free WiFi is available for guests. Master Suites at the Parque Central are what we at Cubaism consider ‘real’ suites, which may be used for entertaining, meetings, etc. without guests or business associates feeling they are being invited into your bedroom. The suites consist of three separate rooms. An attractive sitting room just inside the door has its own guest bathroom. Next is the dining or meeting room with a convenient desk so you do not have to disrupt your papers or computer for a meeting. The large bedroom is entered through a separate door and is luxuriously furnished with a green floral carpet, classic style furniture and heavy window drapes. The bathrooms are decorated in white and beige tiling and dark red marble, with the bath and loo area separated from the double handbasin and shower. Free WiFi is available for guests. 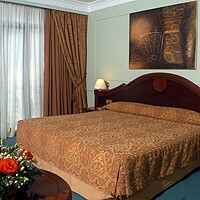 The Presidential Suite at the Parque Central is sumptuous. With its privileged position high above the park it has a marvellous view of the noble facades around it, the exquisite bronze goddesses crowning the towers of the Gran Teatro de La Habana and the imposing dome of the Capitolio. The vast drawing room of the suite opens through a series of French windows onto its own generous balcony which stretches right across the centre of the building. The library and office/meeting room has well-stocked bookshelves and the entire suite is furnished with antique furniture and hung with elegant silks and brocades. There is a walk-in wardrobe area and an enormous bathroom with a Jacuzzi. Free WiFi is available for guests.